1. 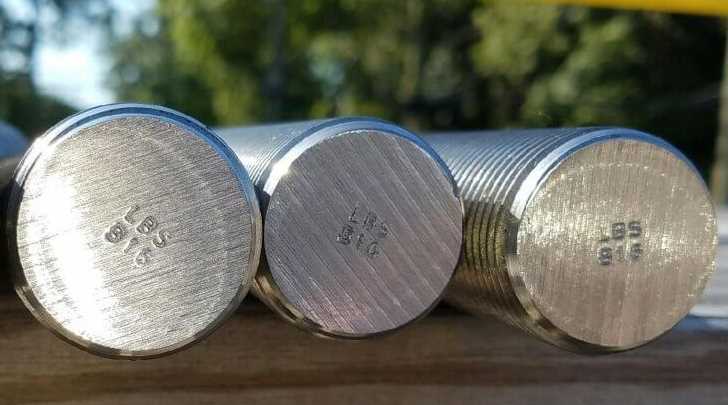 SPM for Auto Parts, Stud, Bolt, & Fastener. 2. Automatic Loading from the Bar/Stud Storage Tank, then Automatic Move to chamfer both ends at the same time from 1 clamping transferring operation. 3. 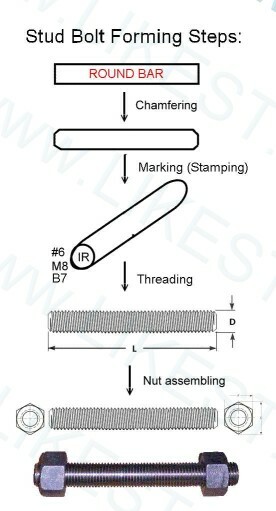 One straight line feeding operation direction among multi-stations, such as chamfering, marking , thread rolling, nut assembly and packaging system. 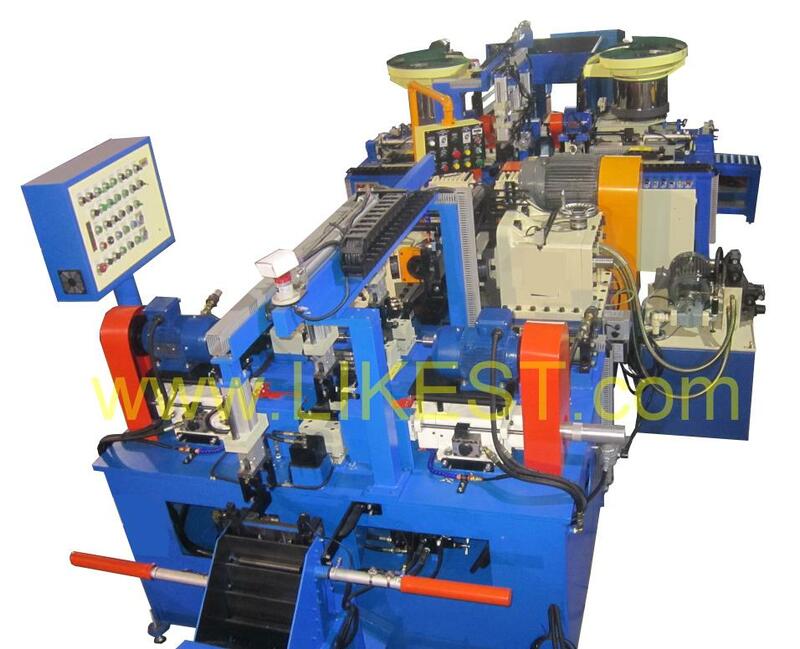 This machine can save operators, working space and loading / un-loading time and create the best benefit. 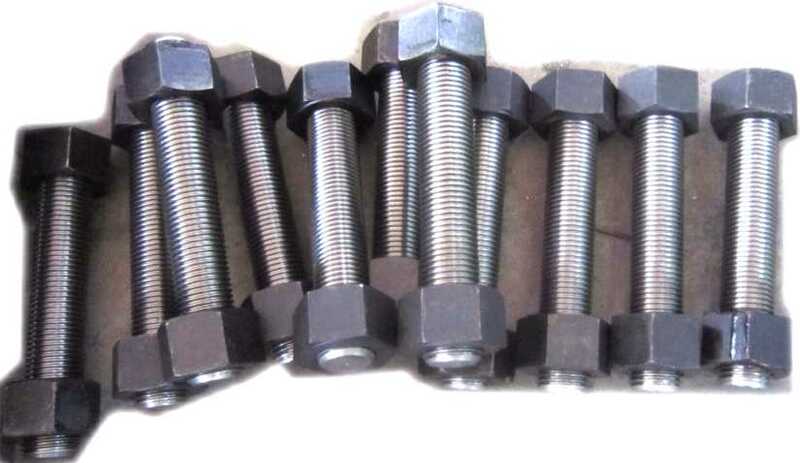 1.We make the Stud / Bolt / U Bolt Making Forming Machine (Full Automatic Production Line), Double end studs Making Forming Machine, SCREWS and Special-Purpose Hardware Processing Machines / Secondary process machine to Create a New Perspective for the Hardware Industry. 2. 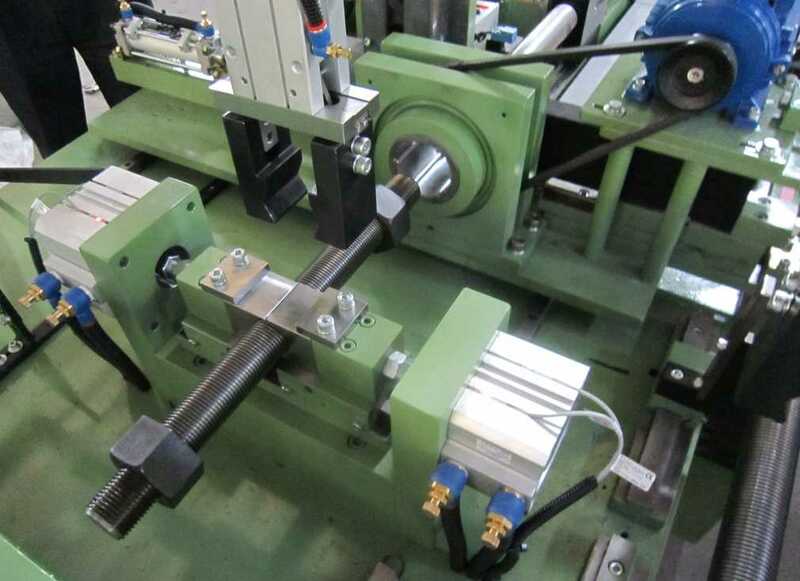 Automatic Movement System: to move the steel rod from Bar Storage Tank to Chamfering Station.